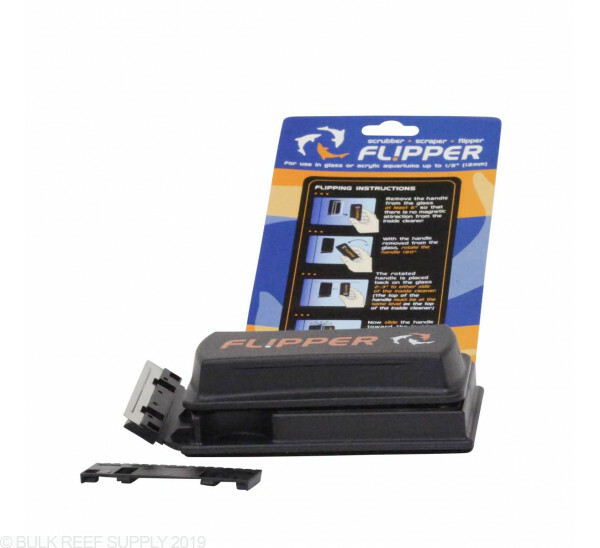 The Flipper Magnetic Cleaner has a soft cleaning pad on one side and a blade on the other side - even better flip the cleaner inside the tank with no wet hands. Simply rotate the outside handle 180° vertically, align with top of inside piece and pieces are magnetically connected again. Flipper Magnetic Cleaner are perfect for tanks that grow coralline algae and other stubborn deposits on the glass or acrylic. Flipping the cleaner magnetic is a very simple concept working off the polarity of magnets letting you use both sides of the algae scraper. The blade on the Flipper works very well at scraping off build up and when you "flip" the magnetic cleaner you have a nice soft felt pad for soft algae build up and final polishing. This thing really makes no sense. I bought this and the Algae Free Tiger Shark for my main display and my nano. The part I don't understand about this cleaner is that it has the blade on one side and the glass scrubber on the other? So is that why it's called the flipper? Because they make you do twice the work? First, you hit everything with the blade and then have to flip it to get the scrubber and then scrub the glass? The Algae Free products have the blade and the scrubber all on the same side. That's how it should be. That way you can clean, scape, and scrub the glass all with one stroke. This glass cleaner gives you twice the work. -Compared to the Piranha Float Plus, the Flipper's magnets are incredibly weak. Often times, I'll be switching from one pane of glass to the other, and the wetside magnet will just blow away and start damaging corals. -The blade on the Flipper isn't sharp. I wouldn't call it a blade. The closest thing I can compare it to is the edge of a credit card. You can literally slam your finger against it and will give you a bruise, not a cut. -Using the "blade" side, it won't cut through coralline algae without many, many passes. It also won't cut through tough film algae without dozens of passes either. Some patches of film algae won't come off at all no matter how many passes you make. -The wetside magnet doesn't float; it either drifts away or sinks. This makes it very prone to getting some speed going in your water flow and then slam into one of your prized SPS pieces. 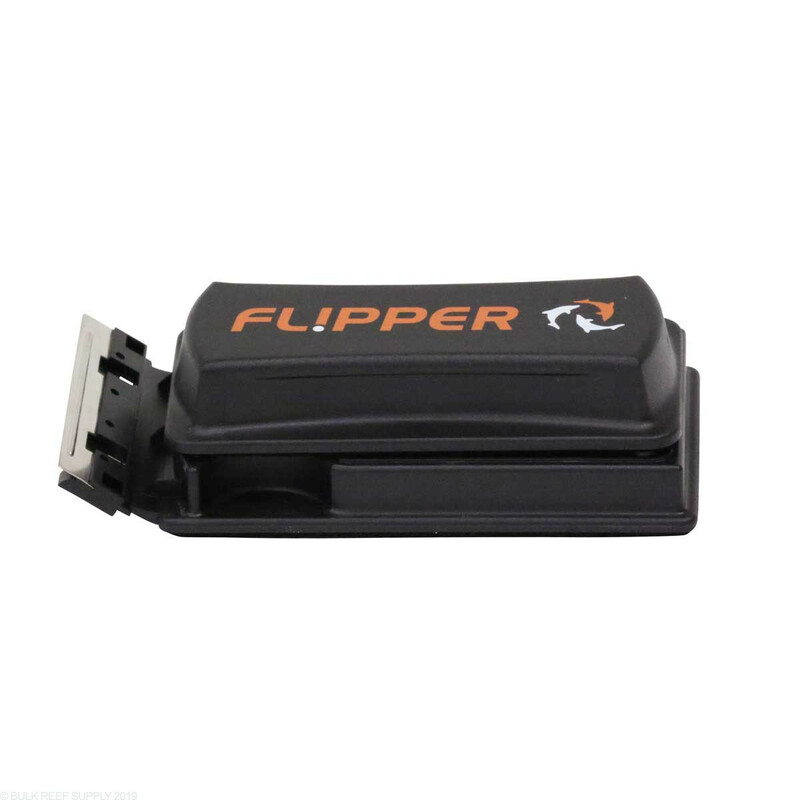 -This Flipper is very thin, especially the dry side. It's also made of slippery plastic, which makes it very difficult to use if you're using it at a funny angle... For example, if you want to clean the back panel of your tank, and it's against a wall, it's very hard to use the Flipper while you're reaching behind the tank against your wall - It will slip out of your hand every time, unless you have tiny hands with the forearm strength of 10 people. Do yourself a favor and try something else. 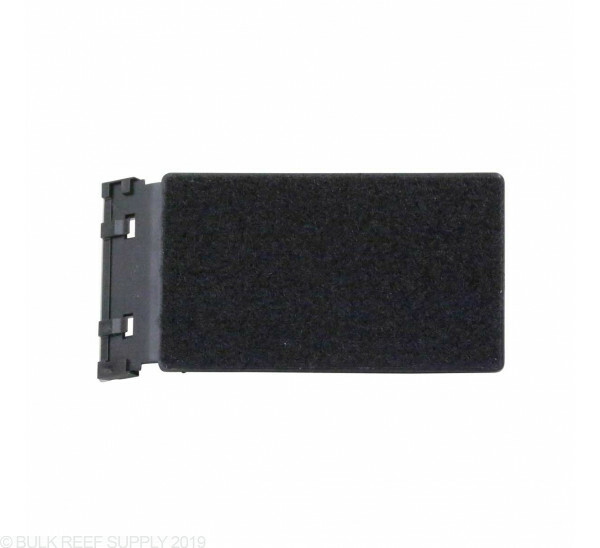 My only complaint is this is way to bulky inside my RedSea Max S-650 LED, way super strong and once I finish either I have to take it off the tank cause it looks super ugly that black box on the corner, other than that works great , clean super good nothing is left behind. Best scraper in da world!! i'm about to buy a second one for my second tank. it's a really good tool and super easy to use. people who say it is hard to use have only tried it once. after you get the feel of it, it's super easy. Better than my other scraper on the telescoping pole. Keeps my hands out of the tank and gets the hard stuff off my glass walls even by the sand bed. Low profile to get to spaces that I couldn't get to before. The Flipper works great until you try to flip it. Kinda hard to master but not any reason why you shouldn't buy it. For the money it works great! works awesome, have a tight area for the tank which makes it difficult to use the wand algae scraper, this was so simple after learning how to flip. If you are trying to justify spending $40 on a glass cleaner like I was, just bite the bullet and do it. I finally broke down and bought one, and it took about 10 mins to clean the glass that usually takes about an hour. It does an excellent job of getting into the curved front corners that no other magnetic would even touch. I HIGHLY recommend it to anyone in the market for a new glass cleaner. Yes, it would be nice if the wet side floated. Absent that it has been great! The razor side works fantastic and gets anything the felt side doesn't get. Very easy to avoid scratches too. I always remove from the tank when I'm done so the blade has lasted me a long time. I'd buy another in a heartbeat if I needed to. I see that it says for glass upto 1/2" thick. Will this work on 1/2" thick glass or is that when it stops working? 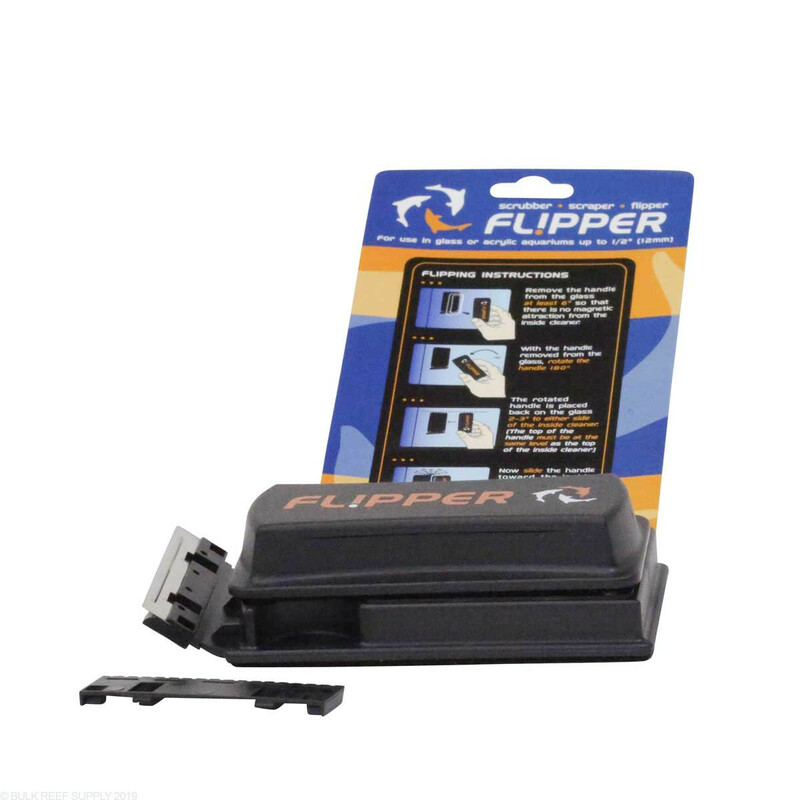 The standard Flipper Cleaner will work with ½” glass. Any tanks with thicker glass like ¾” and it will most likely not pull hard enough to really do anything. 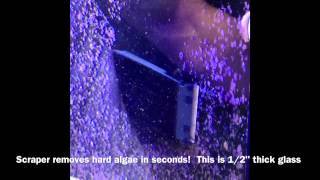 With ½”glass you can still scrape coralline algae just fine, however if you want a magnetic cleaner with a lot of pulling power you may want to look at the Flipper MAX. Is it safe to leave this in the aquarium even though it has a metal blade? Certainly is safe to leave in and will not cause any issues. In our systems we tend to remove the cleaner after use due to the possibility of small amounts of sand becoming caught in the scrapper when left in the tank. Where do you sell the replacement blades for this size? We do carry the replacement blades, and they can be found by following the link below. Will this work on a 72 bow front without scratching tank?? 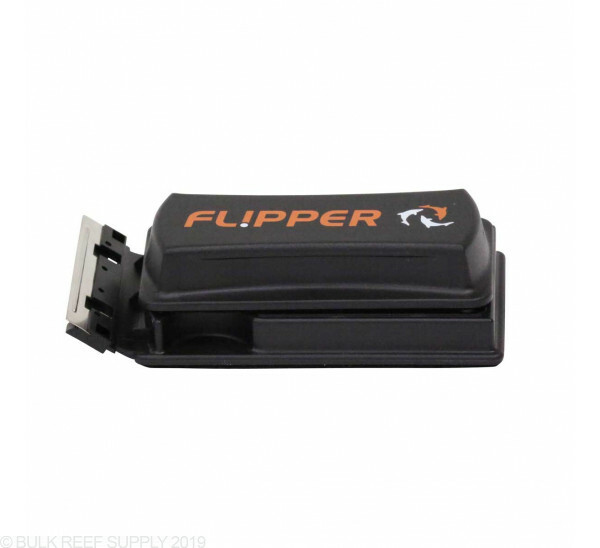 We have had very good luck with the Flipper cleaners on glass tanks of any style. The only time we have had any type of magnet scraper cleaner scratch a glass tank has been due to sand stuck in between the blade and the glass. 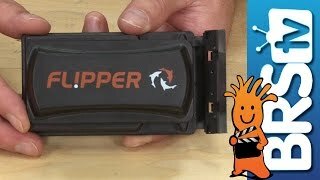 Tem algum outro modelo de limpador de vidro e laminas que substitua o (Flipper Cleaner Magnetic). Sinto muito, mas eu não não entendi sua pergunta. Eu estou usando o tradutor do google para ler e responder às suas perguntas. Por favor, esteja ciente de que não enviamos nossos produtos fora os EUA e Canadá. Lamento não poderia ser um dos mais ajuda. I have an acrylic tank. 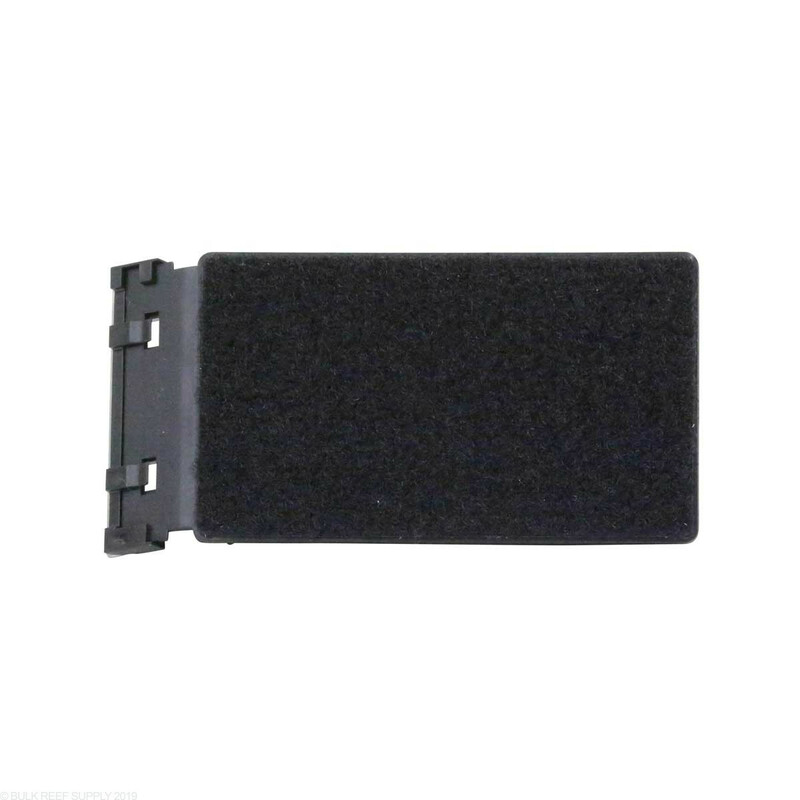 Is this product comes with the acrylic blade or I need to buy it separately? Is the stainless blade a razor blade or just a dull piece of metal? Can a razor be put in to help get the stubborn stuff off the glass? It is pretty close to a razor blade. Its not super sharp on the end like its going to cut someone, but its robust while being thin enough to really do a good job scraping. Its a lot better then the thick metal or plastic pieces you see in a lot of kits.